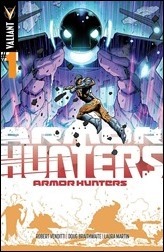 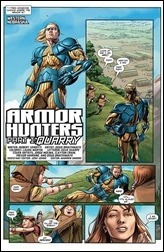 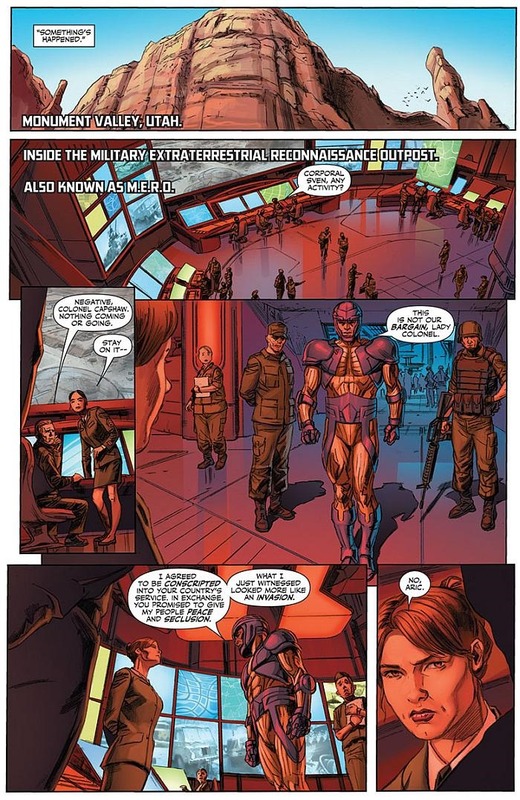 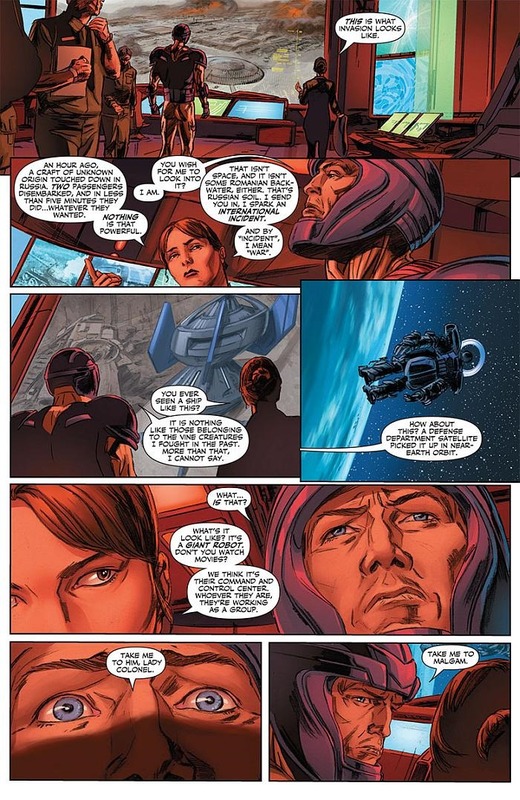 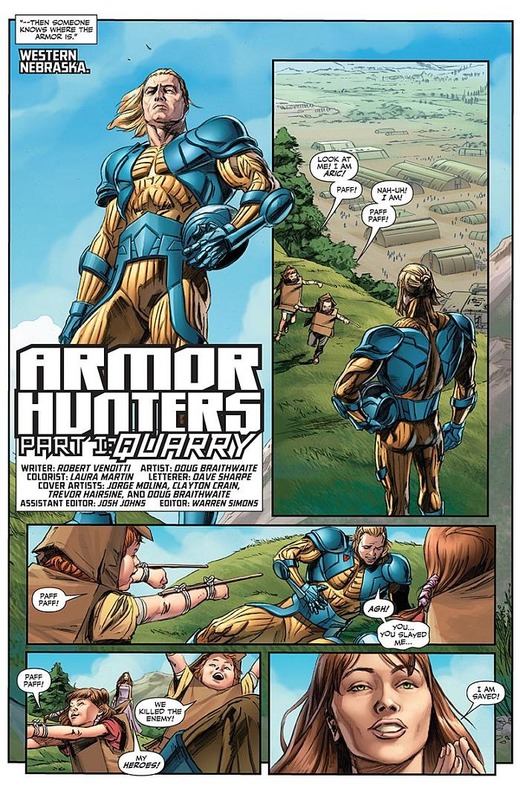 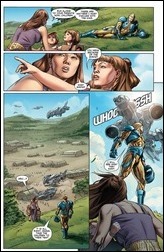 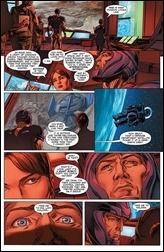 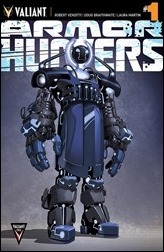 Here is a six page preview of Armor Hunters #1 by writer Robert Venditti and artist Doug Braithwaite, courtesy of Valiant Comics – on sale June 11th, 2014. 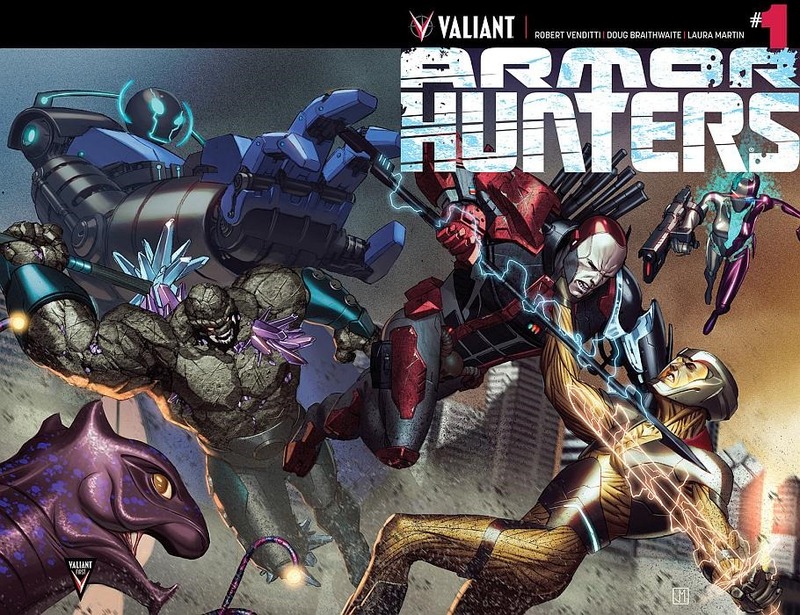 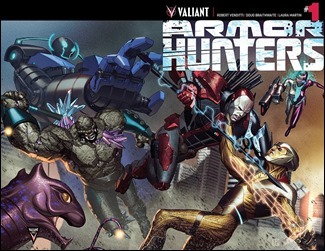 This summer, Earth will be the greatest hunt of all when VALIANT FIRST unleashes the first issue of 2014’s must-read crossover event – ARMOR HUNTERS – from superstar creators Robert Venditti (X-O Manowar, Green Lantern) and Doug Braithwaite (Unity)! 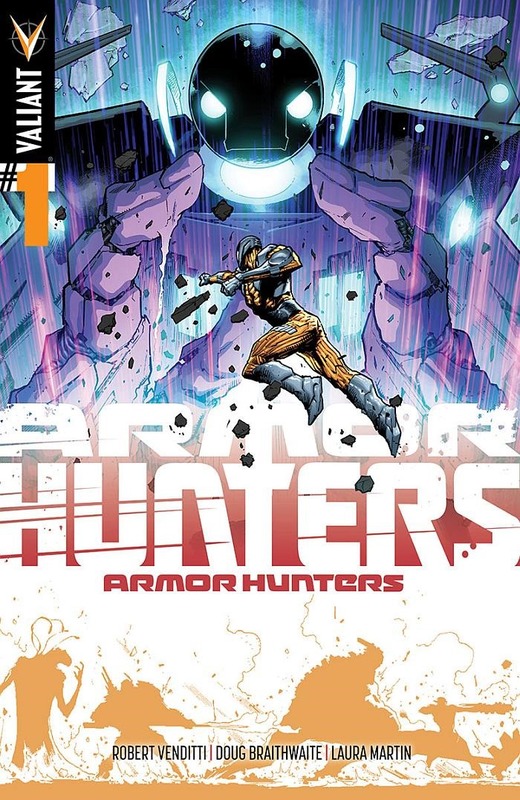 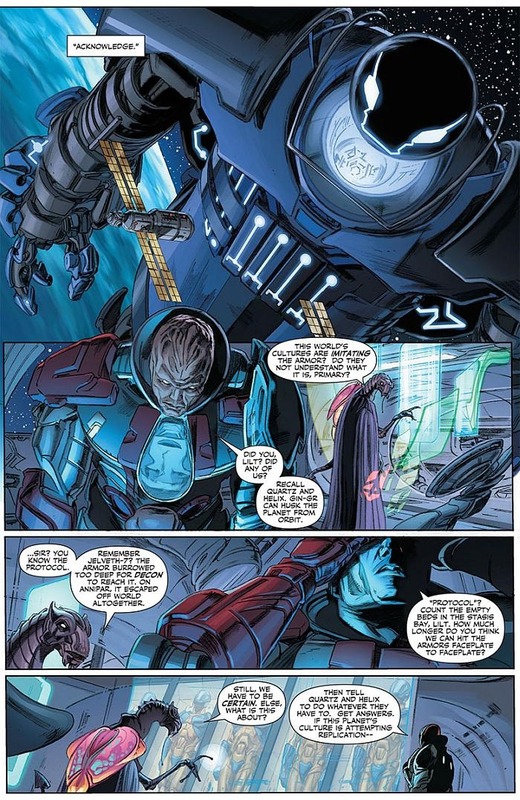 A relentless and surgical strike team from the farthest reaches of space – sworn to exterminate the X-O Manowar armor and all like it – have finally found their last target. 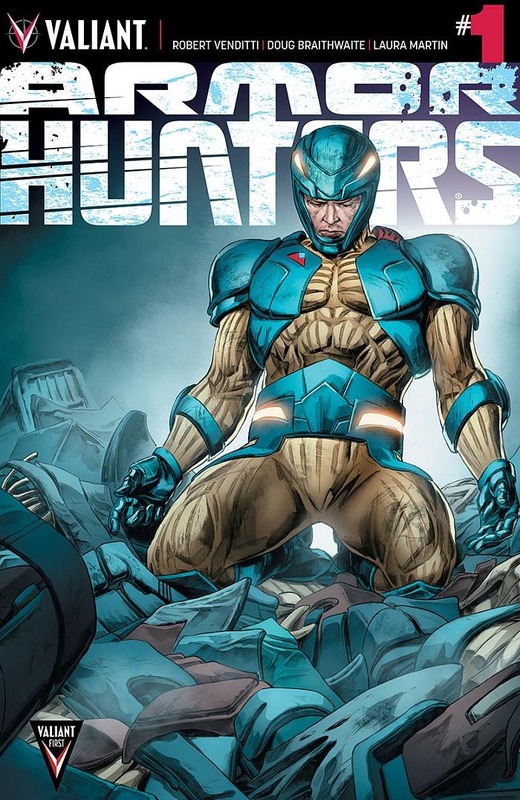 They will hunt. They will trap. 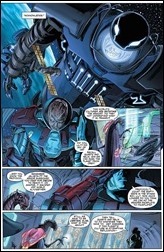 They will kill. 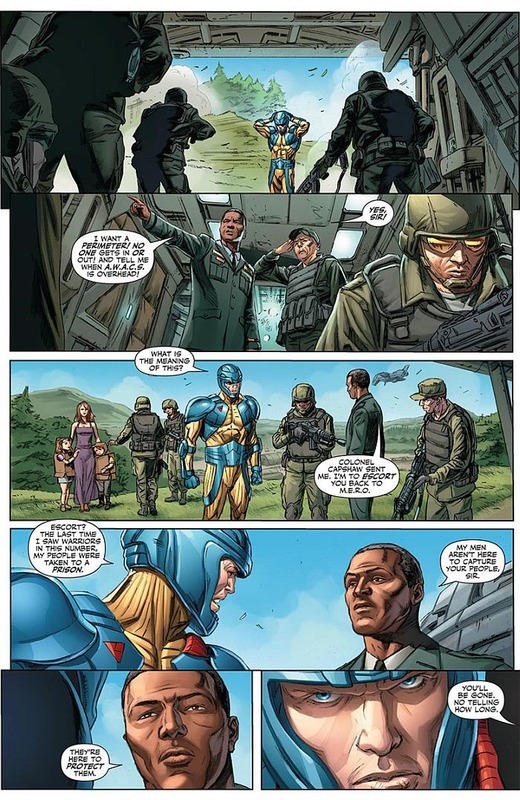 And they will rid the universe of the X-O Manowar’s incalculable destructive power…even if it means taking the Earth with it. 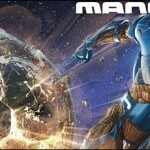 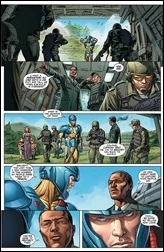 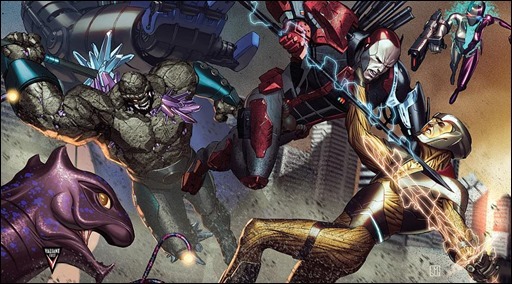 In the tradition of the universe-shaking HARBINGER WARS, Valiant’s biggest heroes begin the summer’s blockbuster 18-issue crossover event right here in Armor Hunters #1 (of 4) – and then launch the resistance against the world’s first full-scale cosmic threat with new arcs beginning in Unity #8 and X-O Manowar #26 in June; and Armor Hunters: Bloodshot #1 (of 3) and Armor Hunters: Harbinger #1 (of 3) beginning in July! 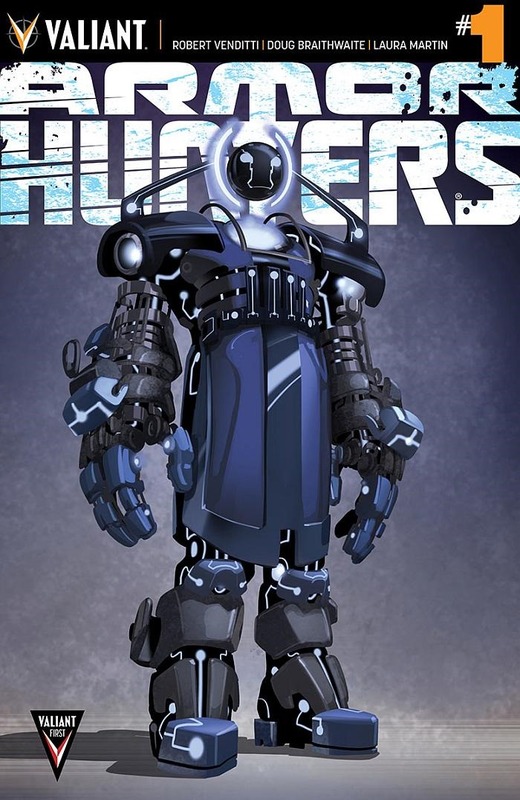 Previews: Unity #8 and Harbinger #24 – On Sale June 18th, 2014.